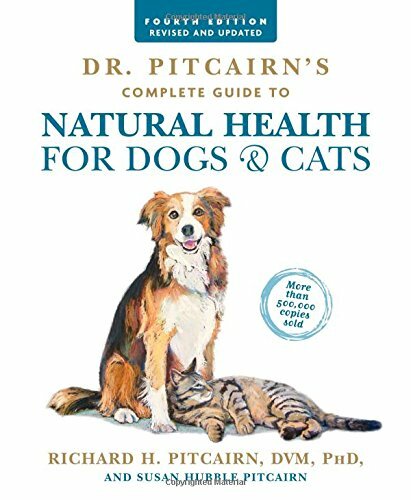 For more than 30 years, Dr. Pitcairn’s Complete Guide to Natural Health for Dogs & Cats has been the go-to resource for health-conscious animal lovers. This fourth edition is updated with the latest information in natural pet health, including groundbreaking research on the benefits of vegan diets for pets, as well as nutritionally complete recipes to give your pets optimal health that you can also enjoy, making home prepared diets easier than ever. The Pitcairns also discuss behavior issues, general nutrition, and a more humane approach to caring for pets. The Pitcairns have long been the trusted name in holistic veterinary care and continue to be at the forefront of natural pet health. 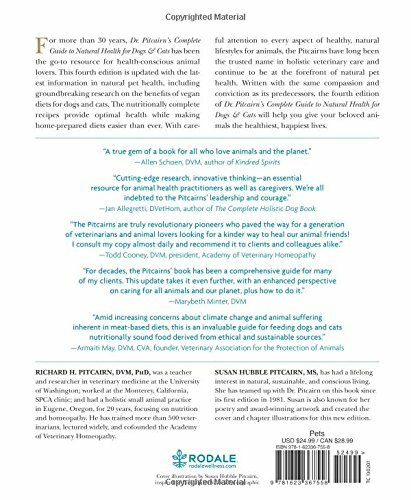 Written with the same compassion and conviction, the fourth edition of Natural Health for Dogs & Cats will help you give your beloved animals the healthiest, happiest life.